Wolfgang Uber Ceramic Coating is an incredibly durable resin-based coating that bonds with your vehicle to create a lasting layer of protection against the elements. Even if you�re a dedicated carnauba fan, this easy-to-apply formula will make a believer out of you! Each application of Wolfgang Uber Ceramic Coating yields as many as three years� worth of deep, stunning reflections and incredible glossiness! After you�ve spent hours polishing your vehicle�s paint to perfection, your first instinct maybe to reach for your trusty pot of carnauba wax, after all applying it is easy enough. Carnauba is great, it offers a warm glow and it can actually be pretty fun to apply, but it truly lacks in the durability category. If you�ve avoided jumping on the paint coating band wagon up until this point, Wolfgang Uber Ceramic Coating will change your mind for good! 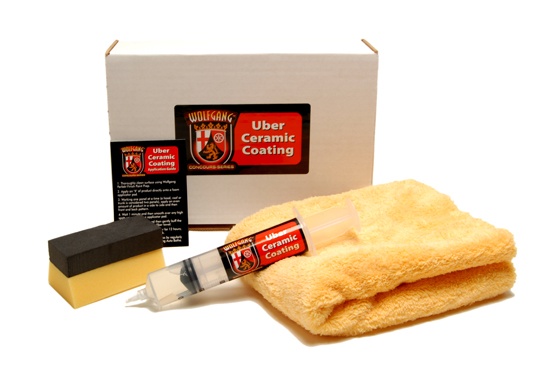 Wolfgang Uber Ceramic Coating is just as easy to apply as a wax or sealant, but offers durability of up to three years! This clear resin bonds directly to paint forming an impenetrable barrier against environmental contaminants. In fact, Wolfgang Uber Ceramic Coating acts like an additional clear coat layer, helping minimize the risk of scratches, swirl marks, and other damage to the factory clear. Once coated, your vehicle will stay cleaner and will be easier to wash since dirt and grime won�t be able to stick to the smooth surface. Wolfgang Uber Ceramic Coating forms a semi-permanent bond with the surface of your vehicle. Once in place, the only way to remove it is to physically abrade it away. It is packaged in a plastic syringe for easy application, and will last up to 3 years on paint, 2 years on wheels, and 1 year on glass�just try to get that kind of durability from your carnauba! Wolfgang Uber Ceramic Coating forms a super-glossy shell of protection on your vehicle that is as much as 50 times thicker than a coat of a conventional wax or sealant. 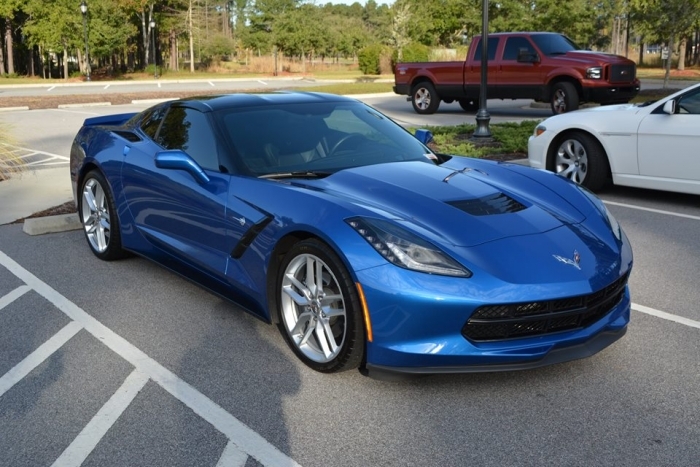 Wolfgang Uber Ceramic Coating protects your vehicle and looks great doing it! for a ceramic coating this has to be one of the easiest to use anywhere. It buffs off like a really good detail spray - or even easier. I can't really comment on the durability since I use it on my headlights and top it with sealants but this is definitely worth a try. Wolfgang Uber Ceramic Is Excellent, Even For a 1st-Timer! Never before applied a nano-ceramic, but a year ago decided to take the plunge on my brand new WRX. By following four simple rules, it turned out terrific -- in spite of my initial major anxiety. 4) As soon as each "half panel" was treated, removed "tiny overage" with new MF's. A year later my WRX stilll looks terrific, and this coming week, I am going to do exactly the same thing on my wife's new Mazda 3 GT. No anxiety this time LOL. This was my first time using a coating and the outcome was beyond my expectations. 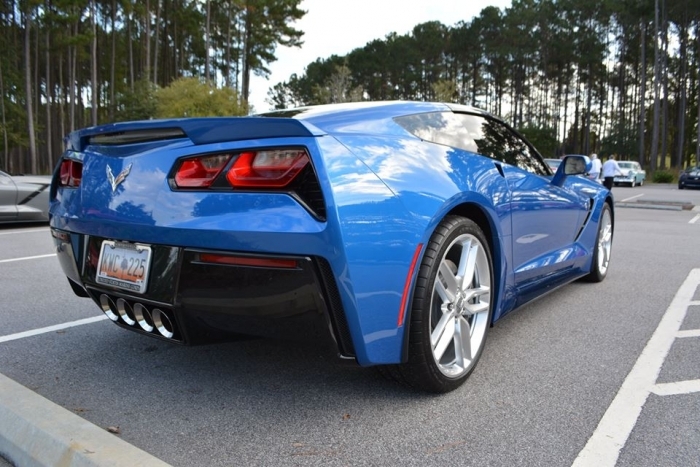 Easy to apply, gloss that rivals any high end wax, and ease of maintenance is incredible. If you are on the fence about a coating give this one a try. You will not be disappointed. Can be used on everything. I did my paint, glass, wheels and exhaust tips.